Eagle Manufacturing is a leading global provider and manufacturer specializing in various safety equipment and material handling technologies. For over 120 years, Eagle Manufacturing has been offering a wide range of high quality and innovative equipment to a number of industries, including chemical, automotive, oil and gas, electrical, transportation and many others. Eagle Manufacturing is well known for their focus on continuous improvement and advancement, ensuring they are an ideal choice for various safety equipment and material handing needs. EquipNet is constantly receiving used Eagle Manufacturing equipment through our exclusive contracts with our clients. 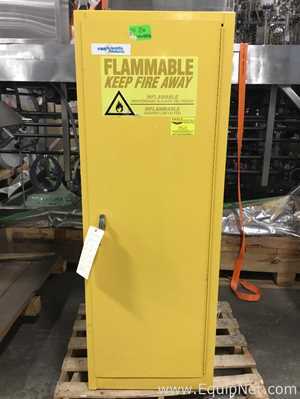 Our inventory of used Eagle Manufacturing equipment includes flammable storage cabinets, storage cabinets, balances and scales, and more. 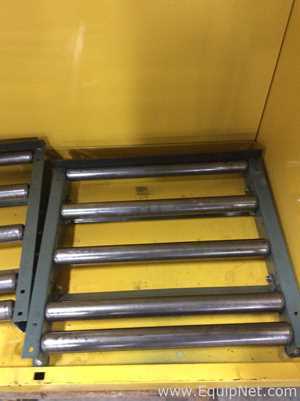 If you do not see the used Eagle Manufacturing equipment you are looking for, call one of our representatives and we'll find it for you. We can also source the right tooling and change parts that you need through our huge network of corporate clients from around the globe.